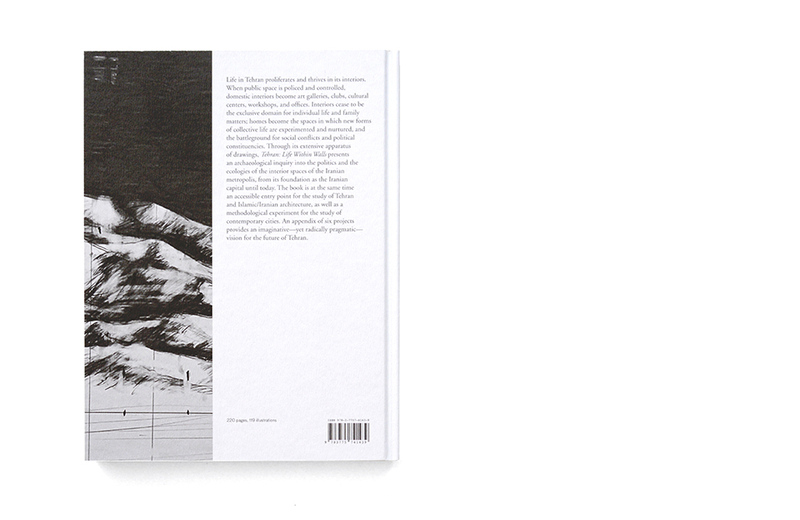 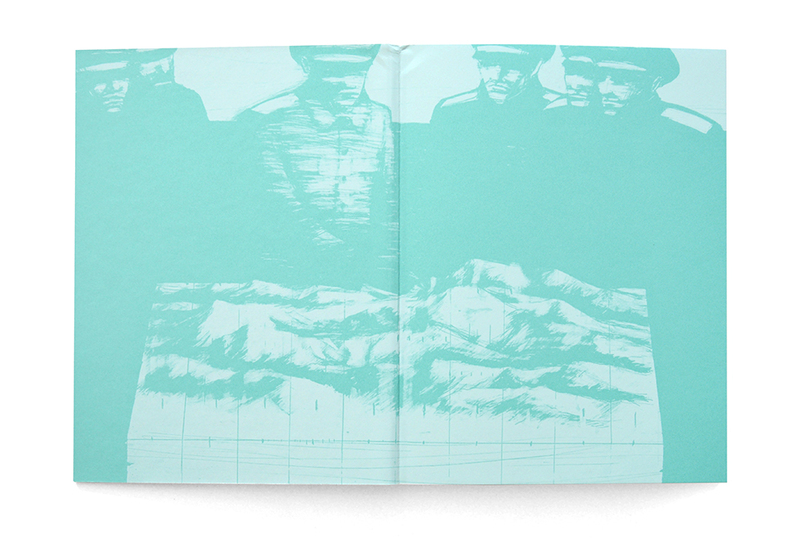 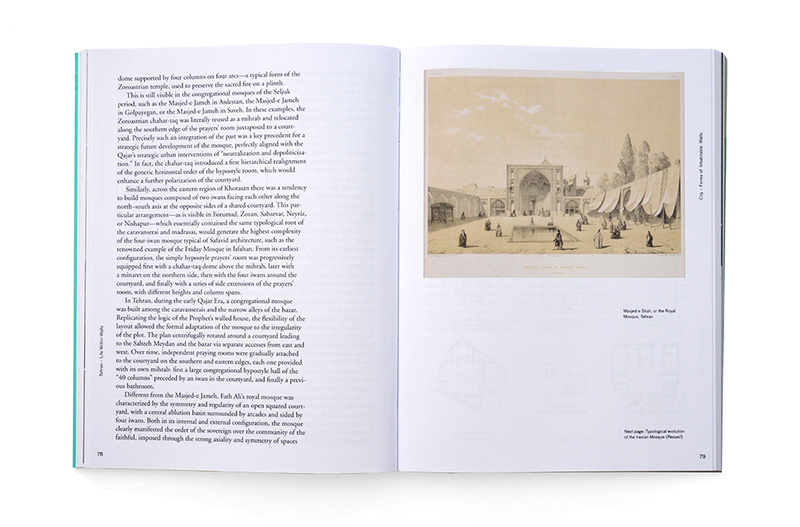 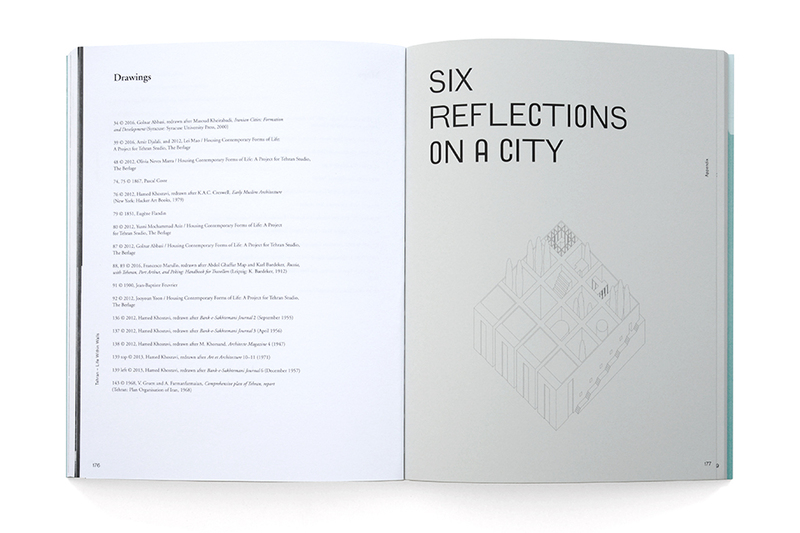 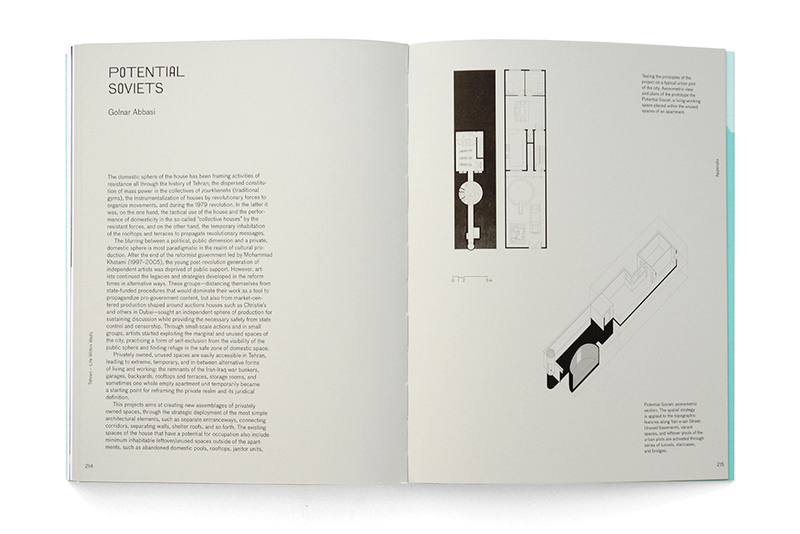 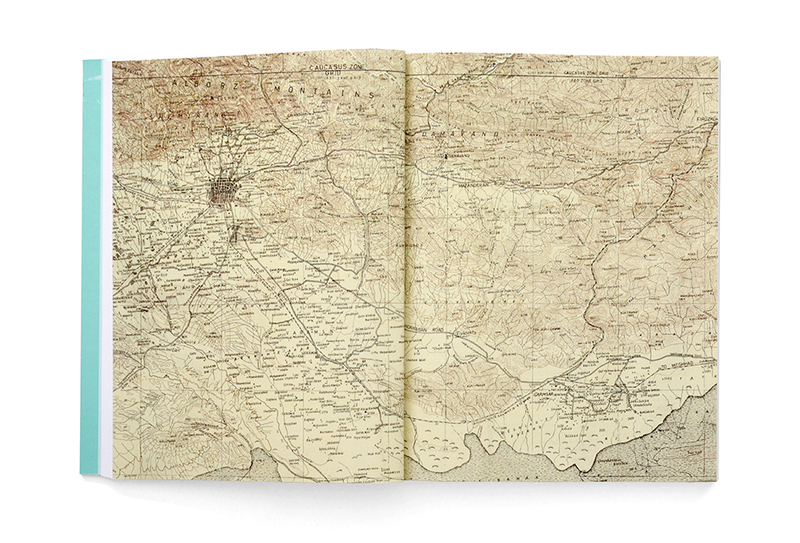 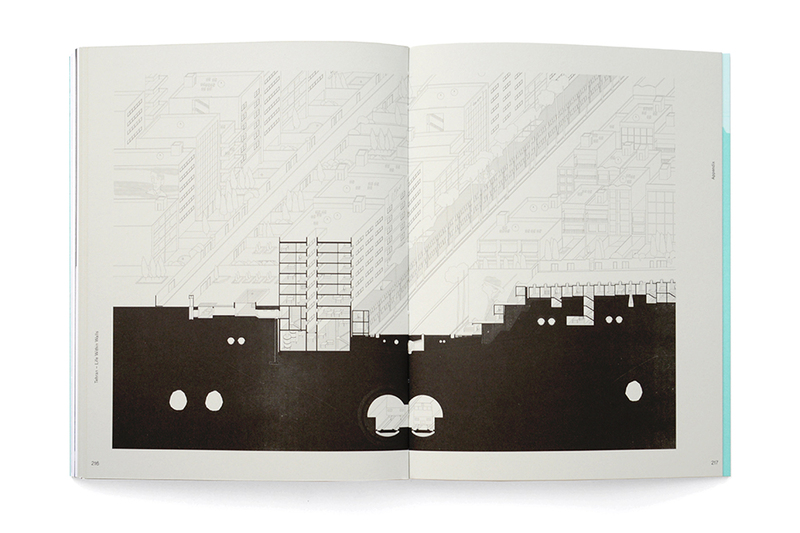 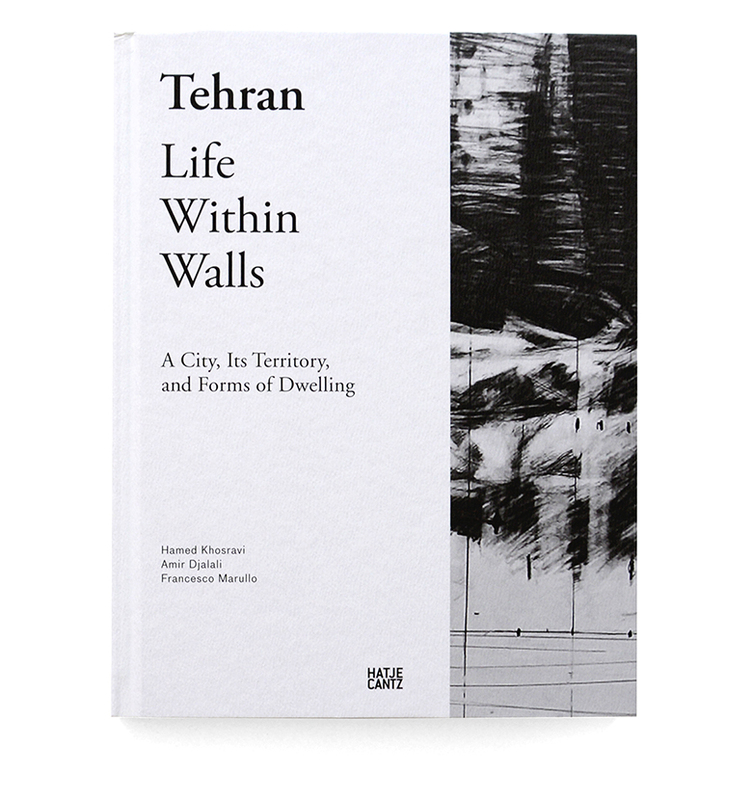 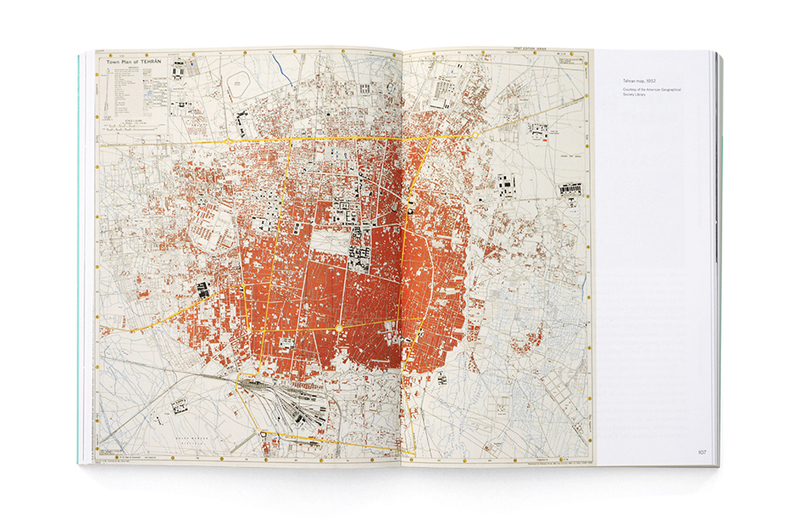 For Tehran – Life within Walls, we have designed a hard cover book cut on 3 edges. 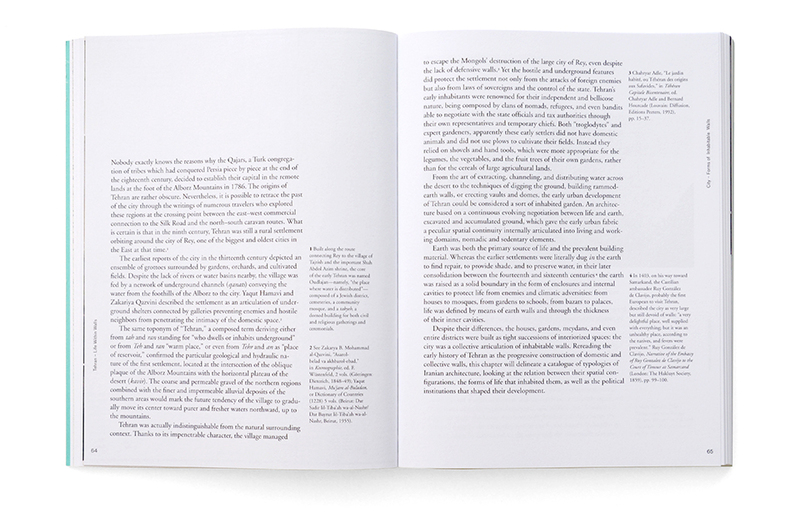 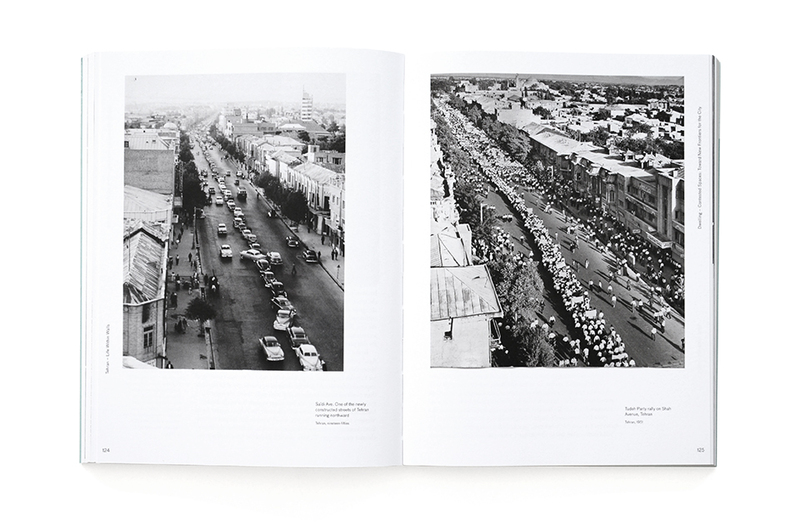 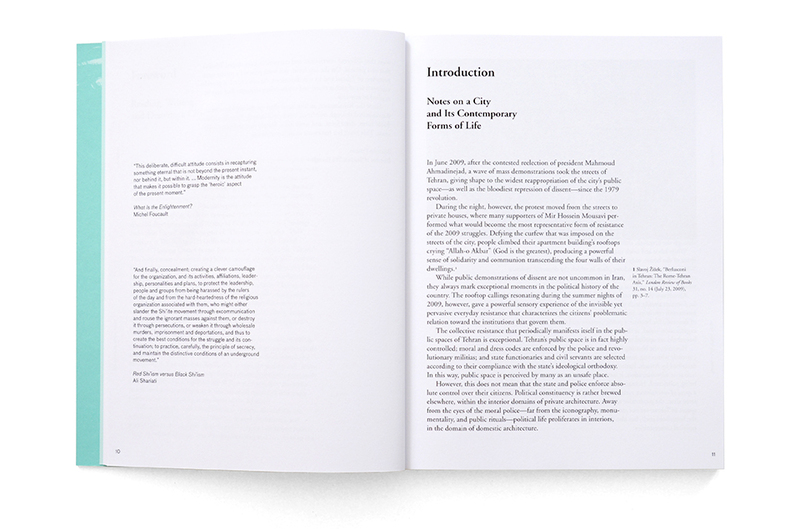 The content was designed as a classic academic essay with contemporary Photographic and Appendix sections. 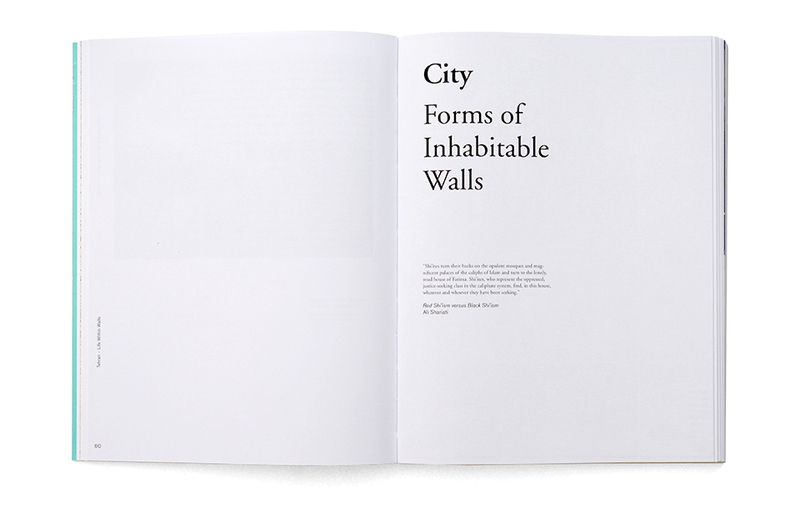 While the cover paper texture resamples a wall surface, overall, the design aims to enhance the feelings of freedom and constriction within a mental and physical space. 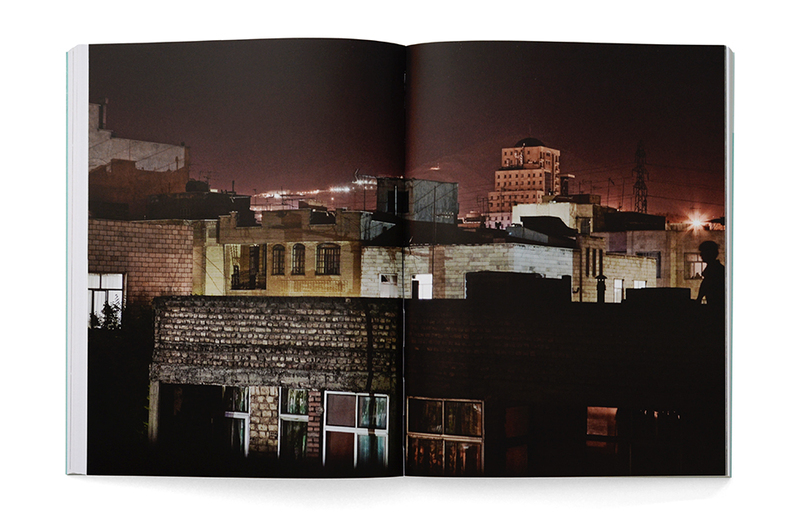 In collaboration with authors Hamed Khosravi and Amir Djalali.